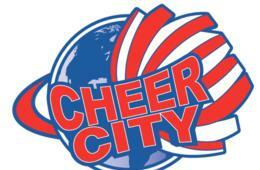 Open to all NEW or Previous Cheer City Campers until MAY 15TH. After which, deal is only valid for NEW campers ONLY. 2018 Sessions Offered: Select your week at checkout. At check out enter the 12-digit Vendor Code that begins with "CK" on your voucher. The 12-digit CertifiKID Coupon Code will not be accepted. Valid only for the 2018 camp weeks listed above. Limit 2 vouchers per family. Can use for multiple children and multiple weeks but only 2 total vouchers per family. Cannot be combined with any other special offers, promotions or discounts. Not valid on prior camp enrollments. Merchant cancellation policy applies. Refunds issued within one day of purchase only. Refunds cannot be issued if you purchase the voucher within 2 weeks of the start of camp. Vendor is responsible for the quality of the products or services provided at redemption.